Welcome to Providence's new website! As one of the area's largest, locally owned residential builder, we wanted a site that reflected our company: inviting, professional, full of information and ready to help. So we handed it off to a bunch of tech geeks. Now our site is ready to go, so take a look around! Interested in our communities, models, or available homes? We have interactive floor plans and plentiful community information. 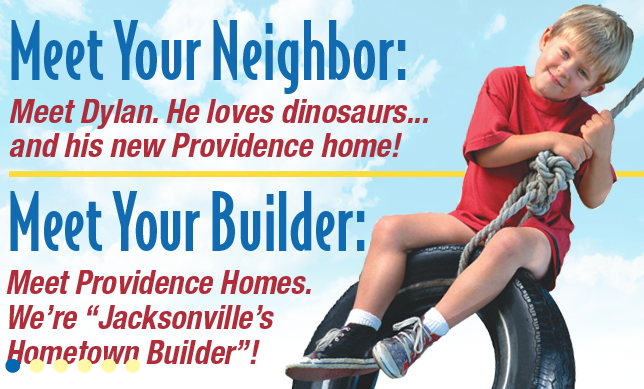 There's also information about us here at Providence, on how to finance your new home, and a photo gallery! We could go on - but half the fun is exploring the site yourself. We're pretty proud of it. And we'd love to hear what you think.